Every year, the Tucson Botanical Gardens holds a "special event" called Butterfly Magic. Butterfly pupae are shipped in from around the world and raised at the Gardens so people can experience their beauty. This post is not about the event because I have not gone yet, but for more information click this link. To start, I would like to make an argument that I think anyone can agree with. Masculine men should have a certain ruggedness to them. Clint Eastwood, Sean Connery, all men can agree that these guys are masculine. They have an air about them that says "put me anywhere, anytime, and I can be fine and enjoy myself while I'm at it." Well, any nature enthusiast will instantly know that I also want to put a couple of other guys into this category. Edward Abbey and Henry David Thoreau. Edward Abbey, most certainly, would have delighted had a butterfly graced him with its presence. And he was, unquestionably, one of the most manly nature enthusiasts of all time. If you don't believe me, you go spend years alone as a park ranger in the harsh Utah high desert and then tell me he's not. 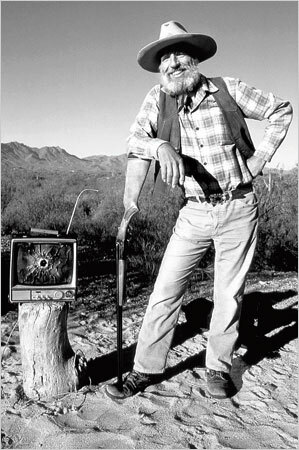 For a final piece of evidence, here is a photograph of Ed Abbey. As rugged as they come. With an awesome, manly beard. Clearly a man (and a beard) to be looked up to. Something else these two had in common is a quality I have always admired in the men I look up to, awareness. A keen observer of the world around him is, in my opinion, more masculine than someone who bumbles through life without a clue. The military calls it "situational awareness", and I'm sure most people can agree that men in the military are generally masculine. Permaculture reflects this value in the very first Permaculture Principle "Observe and Interact." And surely, anyone who truly stops and takes the time to gain an awareness of nature will develop a sense of awe and appreciation for it's mystery and beauty. Anyone who is still enough to reflect on that beauty might enjoy a butterfly that alights upon their shoulder. And in my opinion, doing so can only make someone more masculine, not less. Failure to enjoy the butterflies, or "stop and smell the roses" out of some misguided sense of machismo is only cheating oneself out of an experience that is uniquely and preciously human. For most of my readers, I'm sure this post was a no-brainer. Especially my female readers... I'm sorry if I bored you. But I am friends with several guys who need to know it is ok to enjoy a butterfly, even encouraged. I know that some people, male or female, just aren't interested or intrigued by butterflies or nature, and that is sad to me, but ok. But if you are someone (a guy) who would like to stop and appreciate them, but you don't simply because you are afraid of ridicule or a reduced feeling of masculinity, know that the people who might ridicule you probably want to stop and enjoy them as much as you, but are afraid to do so for the same reasons you have. So go outside, take a deep breath, relax, and enjoy whatever comes your way. And bring a friend. You'll be in the company of some of the manliest men who have ever lived. You remind me of you grandfather sometimes so much so that I feel a need to read this if only to reconnect with things that my grandpa use to explain to me. My grandpa and I had a butterfly collection as well as going bird watching. Red Cardinals where his favorite. And humming birds. The most amazing man, the manliest man I ever knew was my grandfather. So I agree. You are right about the fact that men don't need to ignore the amazing sites of nature in an attempt to be more manly is just stupid. Muir, Abbey, Thoreau. Manliest men of the highest order. Excellent post... a real pleasure to read. I believe what sets the Men apart from the Boys is that a Man panders to nobody's taste but his own. If you are awed by butterflies, or if the sight of birds invokes a sense of compelling wonder, you must pursue those things against all costs. Going against the grain, following your dream to be a permie homesteader; that's what makes you a Man. Right on. Great point! I had actually heard about that, but forgot all about it.